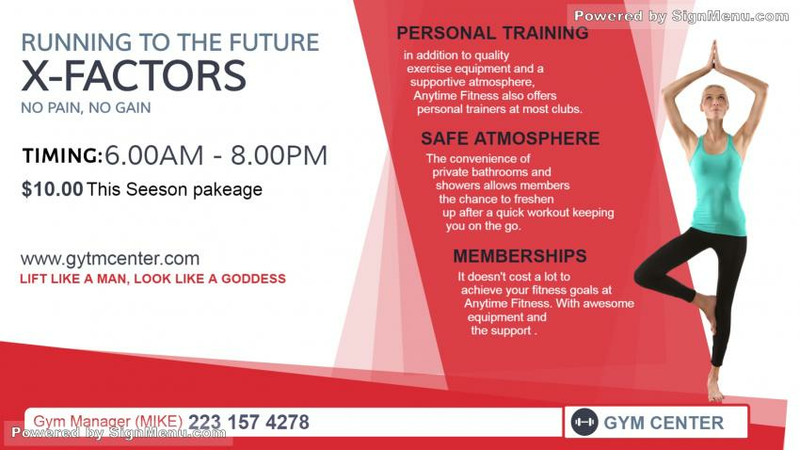 This template is best showcased on a digital signage screen placed atop the gym premises as well as at the entrance. Gymnasiums, being located usually within the city limits have traditionally thrived on word-of-mouth publicity and newspaper advertising. A Digital signage screen with it's visual appeal and effective marketing message, would certainly create an impact on their target audience. This template is ready for download and use.